Why Choose Palm Bay Ford To Service Your Vehicle? From Certified technicians to genuine and OEM parts we provide quality service for your Ford from beginning to end. Here at Palm Bay Ford, we are Ford/Lincoln Certified Professionals. You will not find anyone more qualified in the area that can repair and provide maintenance for your Ford or Lincoln vehicle. All of our team members are trained and certified in Ford and Lincoln factory instruction so your vehicle will be repaired and maintained in the way that the manufacturer intended. All of our team members are also qualified in using the dedicated equipment needed to properly analyze Ford and Lincoln vehicles. This is important because if you go somewhere else without the proper device and they diagnose your vehicle incorrectly, then you could end up paying a lot of money for an unnecessary repair and the need to fix it again later. Here at Palm Bay Ford, we will properly diagnose your vehicles every time as part of our guarantee. Your vehicle was made using factory parts straight from the manufacturer. The parts are designed to give you maximum reliability and durability and helps with giving you the confidence in your vehicle. We want to continue that confidence so here at Palm Bay Ford we only use original equipment manufacturer parts and components. These parts come with a warranty on both the individual parts and the service. In the case that a part is faulty you will be covered by the factory’s warranty and we will fix the mistake at no cost to you. With more than 800 offices spanning the United States, Quicklane Auto Center has the experience and resources to provide tire and maintenance services at competitive prices to all Ford customers. Whether you need a minor inspection or more comprehensive repairs, Quicklane is always happy to help. Electrical Enhancements – Quicklane can repair alternators, bulbs, lamps, and other electrical system components and accessories. Temperature Tenacity – We will repair both your air conditioning and the vehicle’s cooling system, saving energy while keeping cool air flowing smoothly. Safety Steps – We provide inspections and repairs for your brakes, tires, and all other components necessary for your safety and that of your passengers. 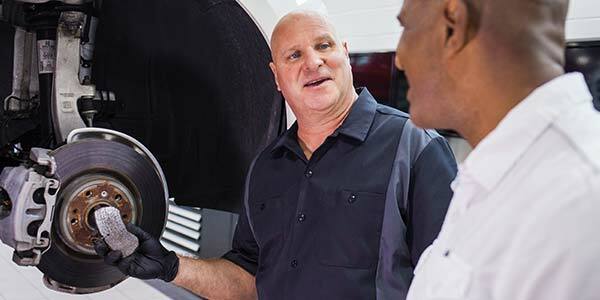 Maintenance Mainstays – To encourage regular maintenance and lower the risk of performance problems, Quicklane offers oil changes, realignments, battery tests, and other services that keep the vehicle in good condition. Other Options – Quicklane provides repairs and replacements for wiper blades, suspension systems, belts, and hoses. Towing – Your disabled vehicle will be towed to the closest qualified Ford Dealership as long as it is within 35 miles. If your vehicle’s battery loses its charge, we will jump start it. Lock Out Assistance – We are here to help if you mistakenly lock yourself out of your vehicle. Even the most experienced automobile owner can lock himself out of his vehicle. Our team will unlock your vehicle. However, this service does not cover the cost of creating spare keys. Flat Tire Change – Don’t panic if you have a flat tire. We will mount your vehicle’s spare tire so you can be on your way. Here at Palm Bay Ford, we only use Manufacturer Certified Technicians that are trained and highly knowledgeable. They have the knowledge, experience, and tools needed to make sure your Ford is well taken care of.